If you're a fan of big passenger-carrying wagons, and can cope with the operating costs, SUVs don't get much bigger than a Suburban. Boat and trailer owners in particular gravitate toward Suburbans, which offer up to 8,100-pounds towing capacity (or 9,600 pounds for the two-wheel-drive 2500 series). Wonderful traveling and family vehicle! I love the size of my suburban. I am able to transport my kids, dogs, luggage, groceries, etc. I also feel very safe in my vehicle when driving in town and on the interstate or highway. It handles amazingly in snow, ice and rain. My suburban is very comfortable to drive and to travel in on long trips. We have used the vehicle to go camping and were able to easily fit everything we needed for our camping trip along with our children and pets. I would highly recommend this vehicle to families and anyone who travels frequently. It can be hard to get around in. I love the amount of room in my Chevy suburban. I do not ever have to worry about not having enough room. There is plenty of legroom for all passengers. There are multiple places to hook car seats into the vehicle which is a plus. The engine has a lot of power and runs great. The only issue we have had with it is the wheels. If it is muddy, mud gets in the wheels and throws off the balance and the vehicle starts to shake slightly. Large vehicle holds 8 people, safe and maintenance friendly first 20. 0, 000 miles. My vehicle has over 203, 000 miles on it. The only major problem was transmission which happened at 200, 450 miles. All other maintenance has been oil changes, filter changes, all minor. 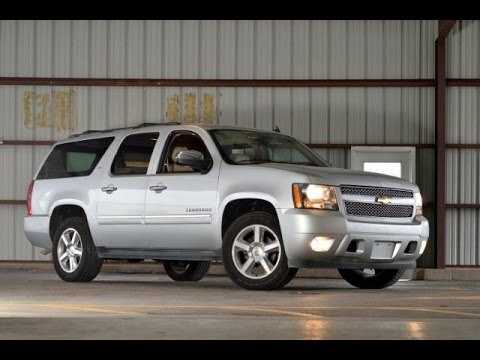 My next vehicle will be a suburban. When we travel, whole family can go in one car as it sits 8 people plus plenty luggage space. Even with 8 people in car, there is plenty of space. I feel safe in my suburban.